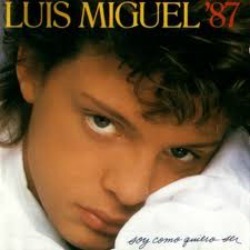 Luis Miguel Biography | Cuando calienta el sol vinyl record memories. From child star to superstar! This Luis Miguel biography page is about the popular Latin artist often referred to as "El Sol de Mexico" (The Sun of Mexico) and his journey from child star to superstar. Luis Miguel Gallego Basteri was born in Puerto Rico and raised in Mexico. He is from Spanish and Italian descent. His father was a Spanish singer and his mother an Italian actress. When Luis was young his father encouraged him to watch every move and concert performance of Elvis Presley. It paid off. In 1981, at the age of 11, Luis Miguel released his first album, Un Sol, and two years later he started touring Latin American countries including Colombia, Venezuela, Chile and Argentina. Watch this well produced video of Luis as a teenager and then I'll continue with the Luis Miguel biography below. This song was off his 1987 album titled "Soy Como Quiero Ser." You must know that this is my favorite Spanish song. I have four other covers of the song on this website so please see and read about all of them. The links are at the bottom of this page and/or on the column to your right. Simply click on photo's for access to beautiful music and the story behind the music. I don't speak Spanish but it doesn't matter-beautiful music is beautiful music in any language. In 1990, he made a successful transition from a child singer to an adult showman with the album 20 Años and an ensuing string of sold-out shows first in Mexico then throughout Latin America and elsewhere in the world. The album 20 Años sold 600,000 copies in its first week of release and resulted in two of the tracks hitting number 1 on Billboard's Hot Latin Tracks in 1990. Luis' career really took off when he released his album Romance in 1991. The album contained romantic boleros from the 40s and 50s and he is credited with reinventing the bolero for modern audiences. The album sold 15 million copies worldwide and became his most successful album ever! 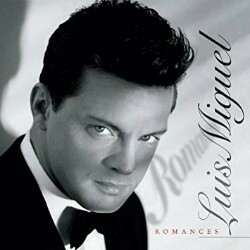 Luis Miguel released his fifth studio album, Aries, in 1993 and was awarded that year's Grammy for Best Latin Pop Album. 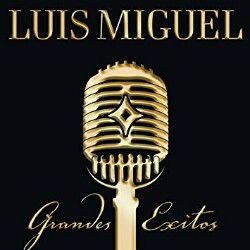 That same year, Luis Miguel was personally invited by Frank Sinatra to join him on his Duets II album and to perform live in a nationally televised special in honor of Sinatra's 80th birthday. A sequel to his Romance album, Segundo Romance, featuring timeless Latin classics such as "Solamente Una Vez" and "Sin Ti", went on to earn a Grammy Award. 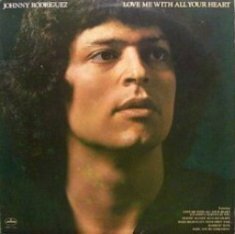 In the United States, he was the first Latino artist to have two Spanish-language albums, Romance and Segundo Romance, go platinum. Luis Miguel Biography - Child Star to International Singer. 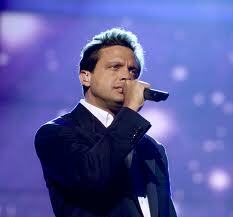 Luis Miguel's career has spanned more than twenty-five years and has become the main singer from Latin America. His wide vocal range of music from pop to bolero, mariachi and romantic ballads, has made him one of the most popular Latin American artists ever and has been praised by critics and other artists all over the world. To understand what this man has accomplished during his career is just short of amazing and truly remarkable. 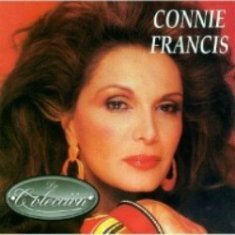 Click on the links below or to your right and read more about my favorite Spanish song and artists who sing this beautiful love song. Watch this Classic video with Vikki Carr and "Cuando Calienta el sol"
Grandes Exitos is a powerhouse of his best hit songs interpreted like only Luis Miguel can. An absolute must in any Latin music collection. Includes my favorite "Cuando Calienta el sol." What music, what an artist! Fifty minutes of romance with Luis Miguel. Turn out the lights and feel the romance as Luis takes you on a handsome ride to paradise.